These are the Johannesburg and Pretoria suburbs to invest in 03 Apr 2019 While looking at the past performance of South Africa's property market by no means guarantees similar future performance, it can provide investors with insight into where some of the investment hotspots might be in the year ahead. This four bedroom, four bathroom home in Weltevreden Park, Roodepoort, has a lounge with fireplace, entertainment room with bar, study and more. It is on the market for R1.899 million - click here to view. "According to RE/MAX of Southern Africa statistics for 2018, our network completed the highest number of transactions in Pretoria in and around the suburbs of Constantia Park in Pretoria East, Sinoville, Faerie Glen, Mooikloof and Arcadia. In Johannesburg, our network completed the highest number of transactions in Kempton Park and Weltevreden Park, followed by Krugersdorp, Alberton and Bryanston," says Adrian Goslett, Regional Director and CEO of RE/MAX of Southern Africa. This three bedroom, three bathroom home in Sinoville, Pretoria, has an open-plan living area, designer finishes, swimming pool, built-in braai and more. It is selling for R1.83 million - click here to view. "The higher the number of transactions, the higher the possibility that prices will climb to match the demand. All of these suburbs therefore present possible investment opportunities for those are looking to buy property in the year ahead." According to Lightstone data, sales prices for freehold property in Constantia Park spiked in 2018, growing from a median price of R1.9 million in 2017 to R2.1 million in 2018. Similarly, the number of registrations in this area has also seen a gradual uptick from 52 transactions in 2017 to 58 transactions in 2018. This top-floor apartment in Millwood Lifestyle Estate in Bryanston, Sandton, has two bedrooms, two bathrooms and a covered balcony with built-in braai and views. It is on the market for R1.7 million - click here to view. Sinoville has experienced steady growth over the last year, climbing from a median price of R1.45 million for a freehold property in 2017 to R1.599 million for a freehold property in 2018. 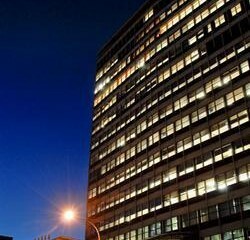 Interestingly, Lightstone's figures reflect a drop in the total number of registrations in this area from 169 recorded transactions in 2017 to 126 recorded transactions in 2018. "Apart from these top-performing suburbs, Mooikloof Equestrian Estate, The Hills (an eco-estate with wildlife) and other suburbs in Pretoria East that offer farm-style living within reach of the town centre are proving to be popular options in this region," says Goslett. This modern three bedroom, two bathroom home in The Meadows in Hazeldean, Pretoria East, has open-plan living areas, a built-in braai, staff quarters and more. It is selling for R2.45 million - click here to view. In Johannesburg, Lightstone data reflects a slight drop in median price for freehold properties within Kempton Park from R1.15 million in 2017 to R1.1 million in 2018. However, the median price for sectional titles grew from R390 000 in 2017 to R410 000 in 2018. The number of transactions in this area also grew from 148 in 2017 to 157 in 2018 for sectional titles, and from 99 to 127 for freehold properties. This home in a new cluster development in Pomona, Kempton Park, has three bedrooms and two bathrooms. It is on the market for R1.537 million - click here to view. Weltevreden Park, however, seems to reflect more steady growth. Lightstone data shows a growth in median price between 2017 and 2018 from R730 000 to R765 000 for sectional titles and from R1.5 million to R1.55 million for freehold properties. The number of registrations also increased from 305 to 329 and from 229 to 251 for sectional titles and freehold properties respectively. 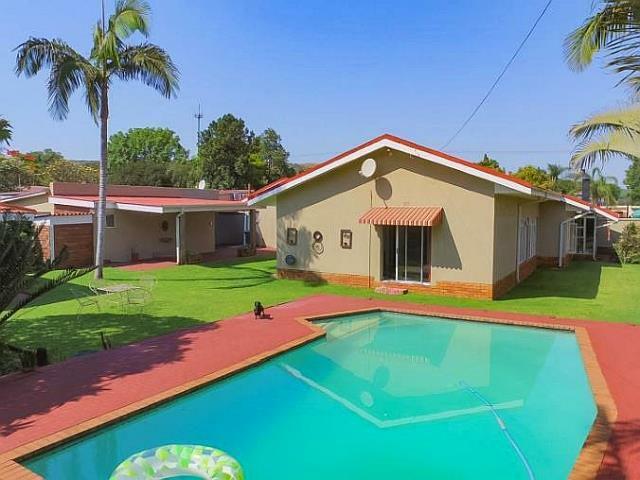 This three bedroom, two-and-a-half bathroom home in Faerie Glen, Pretoria, has a spacious patio, braai area, pizza oven, staff quarters and more. It is on the market for R1.86 million - click here to view. Wherever you choose to invest, Goslett says he recommends speaking to a professional real estate advisor who will be able to provide you with up-to-date information regarding the suburb in question. This four bedroom, four bathroom home in Mooikloof Gardens, Pretoria, has a formal lounge with fireplace, study, pool, staff accommodation and more. It is on the market for R3.3 million - click here to view. "Buying property is a long-term investment decision that ought not to be taken lightly. It is always better to involve an experienced professional who can guide you through the complicated realities of these purchases."